The Highlands collection includes a cute cat print in five colorways. 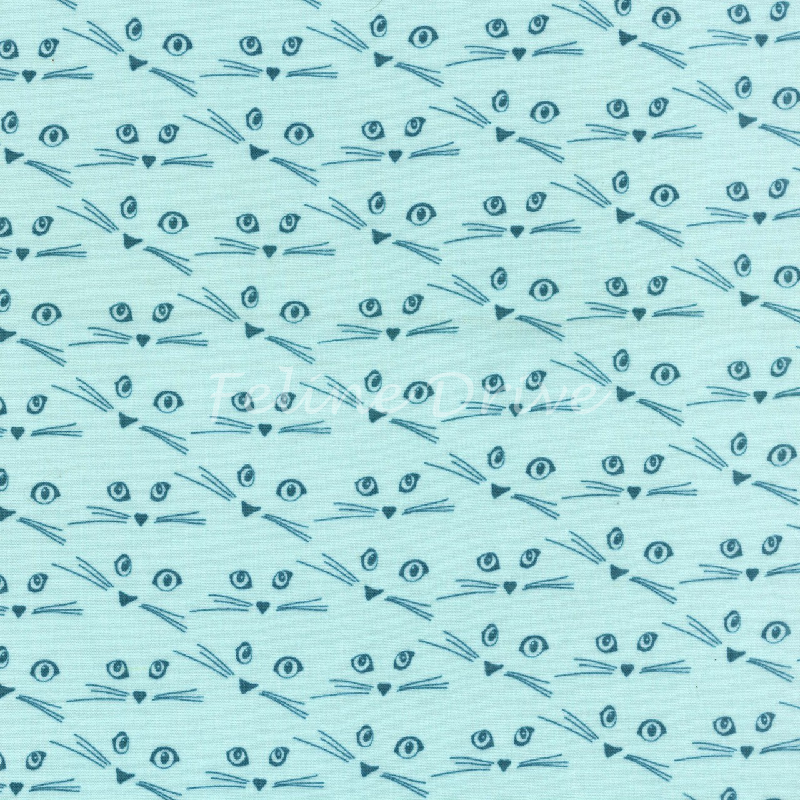 This print, the aqua version, features cat faces sketched in dark blue on a light aqua background. 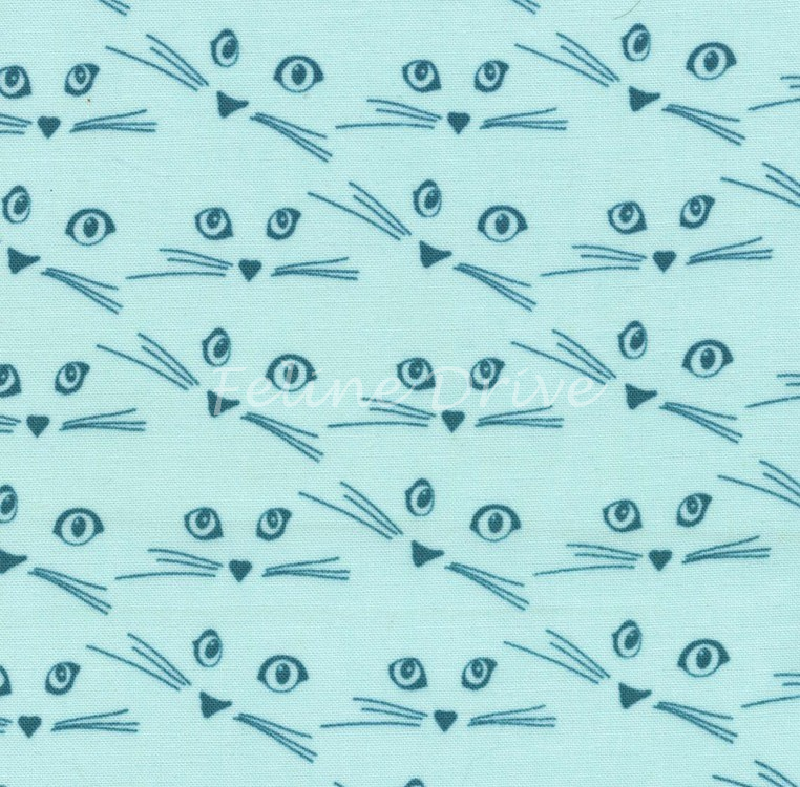 A cat fabric basic you just have to have in your stash! Print Size:Cat faces are approximately 2" across from tips of whiskers.